For students who seek graduate study in chemistry and chemical biology, the answer is simple: The CCBGAP program at UC Davis will provide superb preparation for graduate study. Our faculty do research at the cutting edge of science and are skilled mentors recognized for their work with students. 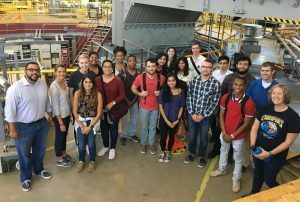 In addition to hands-on research, CCBGAP scholars will take a GRE prep course, receive detailed written comments on statements of purpose, go on field trips to sites such as the Lawrence Berkeley National Laboratory and UC Davis’ Tahoe Environmental Research Center, and network with current UC Davis graduate students and faculty to prepare for graduate school applications. 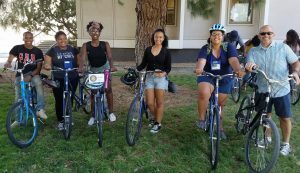 During the summer program at UC Davis, CCBGAP scholars will live in comfortable, up-to-date campus housing, with a meal plan, accident coverage, and access to UC Davis’ superb student recreation facilities (including a bicycle for local transportation). Davis is centrally located in northern California, with convenient public transportation to Sacramento and San Francisco for weekend excursions. 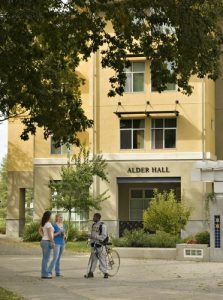 For those who seek outdoor recreation, Davis has miles of bike paths, pleasant trails for walking and running, and a UC Davis student organization, Outdoor Adventures, that provides guided weekend excursions to the coast and mountains. Davis’ Mediterranean climate and location near the Sacramento River Delta generally lead to warm, dry days with a cool evening breeze. Residents enjoy summer concerts both outdoors and at the Mondavi Center, a Farmer’s Market that has received national recognition, and downtown conveniently near the UC Davis campus.